The hit CBeebies series has another DVD launching onto the shop shelves next week, a Christmas special to be precise. All around Okidoki, festive lights are twinkling and everyone is preparing for the happiest time of the year and that includes Groobie's fantastic pantomime but when a sudden mayday call interrupts rehearsals, another epic adventure starts, can Q Pootle 5 save Christmas?? 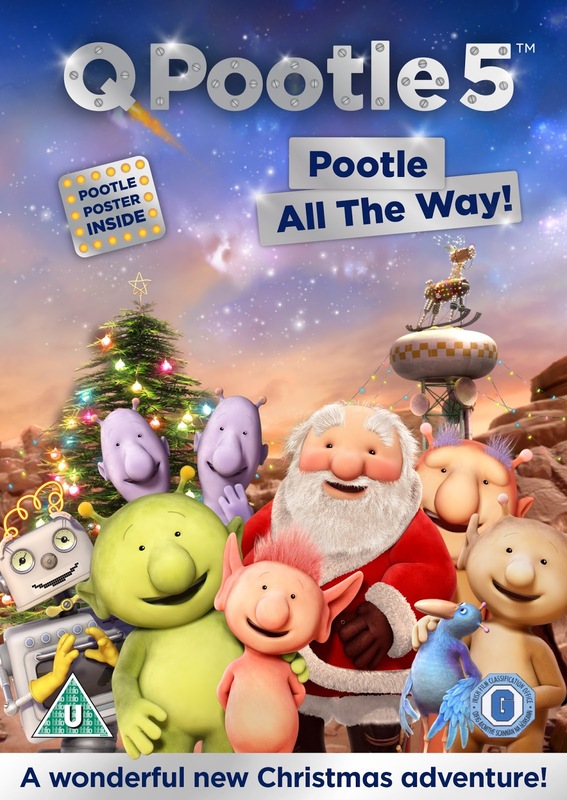 Q Pootle 5 Christmas Special : Pootle All The Way will be flying onto shelves next Monday, the 1th of November which not only has the show itself but some special features too including an amazing poster insert. Now after the success of my last Q Pootle 5 giveaway, I have another been asked to giveaway a copy of this brand new DVD to one of you lovely readers. All you need to do to enter is fill out the rafflecopter form below. Open to UK residents only, this giveaway will close on the 30th of November 2014 at 11.59pm. All entries will be checked and verified so please make sure you enter correctly. The Miracle on 34th Street. I like all versions. We love Elf in our house. I love Miracle on 34th Street - the first and second version. Scrooged with Bill Murray is my fave. Homw Alone 2 - lost In New York.